Founded by Mehdi Rezania and Toloe Roushenas in 2004 for creating innovative and artistic music, Baarbad has been one of the most prolific Iranian-Canadian ensembles. Members of Baarbad Ensemble are all graduated musicians of different backgrounds. Baarbad has performed both original and composed pieces in variety of genres including Persian classical, Western classical, fusion and folklore world music. The ensemble has presented music programs in various styles and genres from Persian classical and folklore to fusion music and recitals. Baarbad Music is a winner of Ontario Art Council grants of 2011 & 2013 and Canada Art Council in 2012 and has collaborated with over 60 professional musicians in the past decade including virtuoso musicians such as Maestro Hossein Behroozinia, Saeed Kamjoo, Sarah Steeves, Mary Elizabeth Brown, Brenna MacCrimmon and ensembles and orchestras such as Sinfonia Toronto & Windermere String Quartet. Baarbad has performed numerously across Ontario and Quebec in prestigious venues such as Glenn Gould Studio, Toronto Centre for the Arts, Richmond Hill Centre for Arts, University of Toronto, York University, University of Western, University of Ottawa, Toronto Jazz Festival, Tirgan Festival and Iranian Heritage Day Festivals. Sina Bathaie grew up in an artistic family in Iran, starting to learn the Santur at the age 7 from his father, Master Javad Bathaie. Following his passion in music and through the years of music education he developed his skills in Persian classical music by learning “Radif” with OUD from “Mohammad Firouzi” and the concept of rhythm with Tonbak (persian Percussion) . Moving to Canada in 2009, He started his new journey in the world of music in the new environment far from his homeland. During this time he performed in many festivals and concerts across Canada such as open Mind Festival, Tirgan, Kali moon, and Confluence. He recently had a residency at The Banff Centre for the Performing Arts, one of the most prestigious institution in its kind. 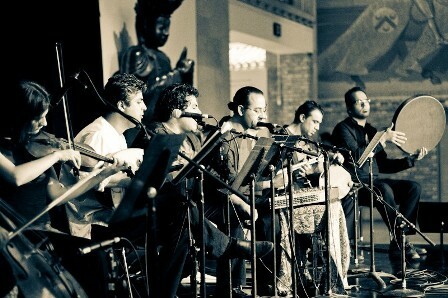 Sina’s first album “ Sound of Silence” – a personal interpretation from Iranian classical music – was launched and released in Montreal in 2012. 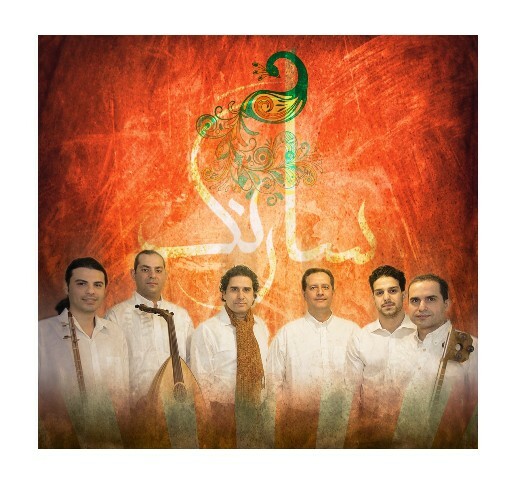 DoSaz music band was formed in 1998 in Tehran, Iran, and has had performances with other music bands in Iranian and European cities. Majid Javadi started to take lessons in singing and Daf in 1998 with teachers such as Sadigh Ta’rif and Mahmoud Makhdoum and has produced five albums. Mahsa Golmakani attended the music high school (starting in 1999) and continued her studies at the undergraduate level. She has had teachers such as Mina Oftadeh, Pashang Kamkar and Hossein Alizadeh. 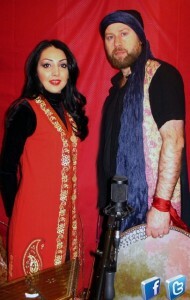 Majid and Mahsa perform music from Iranian folklore music. Bamdad has studied music from childhood. He has learned how to play santur, tombak and daf. As a tombak player he has extensively worked with a number of ensembles in Iran and in Canada such as Mezrabi Orchestra, Khorshid, Khamoush, Vesal and Baarbad. 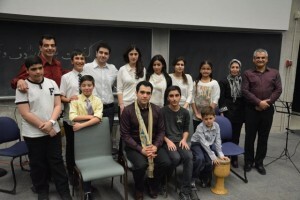 He has been teaching Iranian percussions in cities of Toronto and Waterloo. Man eli Jamal has lived in five different countries (Iran, Belarus, Germany, USA, Canada) and moved twenty times by the time he was 18. The young artist gained a sense of musical maturity rarely seen among his peers especially when he transforms his nomadic life experiences into musical movements using extended guitar techniques. There aren’t many players in his style that have Jamal’s balance of power and sensitivity, nor his breadth of ideas. His rhythmic concepts can be alternately short and dense, or explored carefully through several movements and real life stories. Maneli just got back from a successful New Zealand / Australia 35 show tour. Saeed Kamjoo, born in 1965 in Tehran, Iran, is a Persian musician and composer. 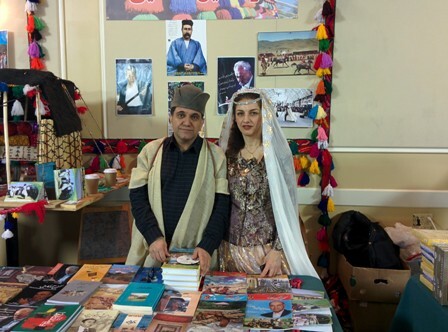 He started learning kamanche at the age of seventeen under the supervision of Ardeshir Kâmkâr. He furthered his studies in the instrumental and vocal repertoires of Classical Persian music under the guidance of such renowned masters as Ali Akbar Shekârchi and Ustad Asghar Bahâri. He is also a graduate of the School of Fine Arts from Tehran University. 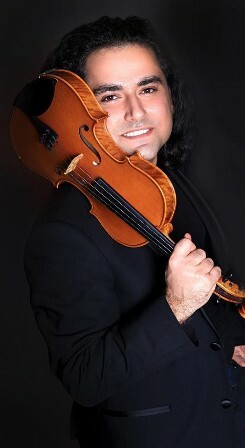 His approach to playing kamanche is based on his perception of the values inherent in classical Persian music. Kamjoo’s style of playing kamanche combines creativity and authenticity with innovation. 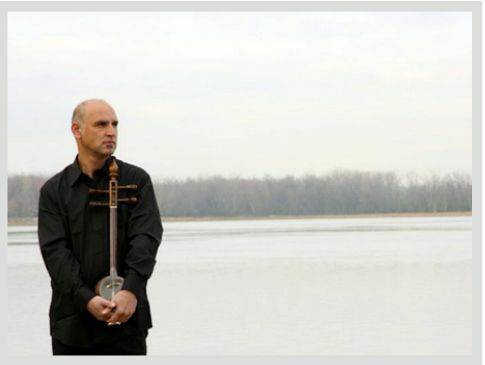 Although his music has its roots in Classical Persian music, he allows himself to explore the new. Kamjoo moved to Montreal, Canada in 1997 and has since been collaborating with various ensembles in Canada, the USA and Europe. He has recorded many albums and performed in numerous music festivals around in Canada, the USA , Mexico, U.K, France, Germany, Netherlands, Belguim, Sweden, Spain, Portugal, Poland, Greece and Turkey . Saeed Kamjoo has also performed as a guest artist with Dastan Ensemble, one of the most renowned Persian musical groups. He is a co-founder of Namâd Ensemble. Alireza Jahangiree as born ,196 0 from a family of music in Qashqaie IL District of Firooz Abad ,province of Fars Iran, He started singing since childhood coached by his Father Jahangir Khan Jahangiree who had a sweet voice and he got trained by his uncle Kiamars Khan who was a composer and created a “Goosheh: KIKHA GHASSE .Later on he joined to Gorginpour family leaded by Habib Khaun ,Forood and Farhaud .He has been follower of Gholam reza Khaun Bahmani and Khorshidi, Kiamars Khaun. He had few concerts in Ahvaz and Shiraz conducted by Forood and Farhaude Gorginpour and Kopenjaugen directed By Parvin Bahmani “Hava Group” .He completed 7 “Dastgahe”Radif of Karimi instructed by Ostaud Parviz Nezakati and two years he got Avaz training by Ostaud Hassan Yousefzamani .IN Vancouver he got an opportunity to be appointed By ostaud Nezakati to attend “Ostaud Shajarian few workshops for Vocal tecknique.He has been performing in Persian community and he performs in Cultural events. He graduated from Both Pahlavi and Ryerson University in Farm Machinery / Mechanical Engineering and currently has been working as a Design Release Engineer at General Motor of Canada. Mitra Eghbali was born 1969 in KERANDE GHARB Iran .She has been dancing since she was 12 years old. She started with Kurdish and after very short time ,She fell in love with Indian dance. After three years learning and then teaching Indian dance to her students, she started Persian dance and completed Kurdish after.She is from an Artist family.Her father is playing “Sorena” and Tanbour and her uncles are from the most famous musician of Kerande Gharb and Kermanshah.Since last year she started dancing with Persian traditional music(specially with Shajrian Auvaz and Tasnif). She currently teach dances in Iranian community. Noubâng Ensemble was established in 2008 by a group of artists with passion about Iranian classical music in Toronto. 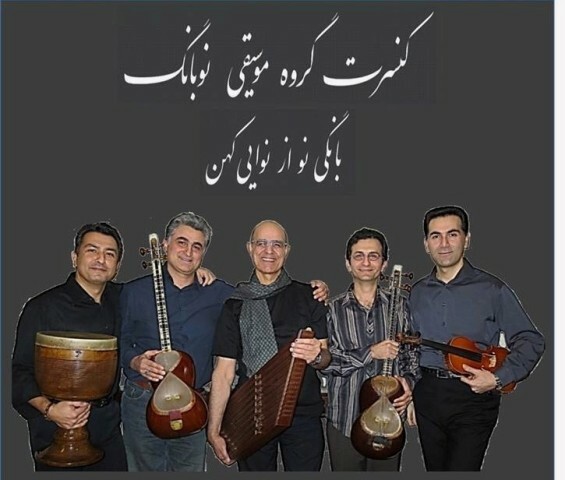 Noubâng means “new voice” and the group was dedicated to the promotion and advancement of Persian classical music with a new narrative. Noubâng has performed in several events and festivals since 2008. In May 24 and 25, 2014 Noubâng Ensemble will perform in the 4th Iranina Heritage Day at the ROM. Nima Rahmani has a Master’s Degree from the department of Fine Arts from the University of Tehran but also has had numerous performances in Iran, Canada, Germany, Netherland, Belgium, France, Azerbaijan, Armenia, and England. 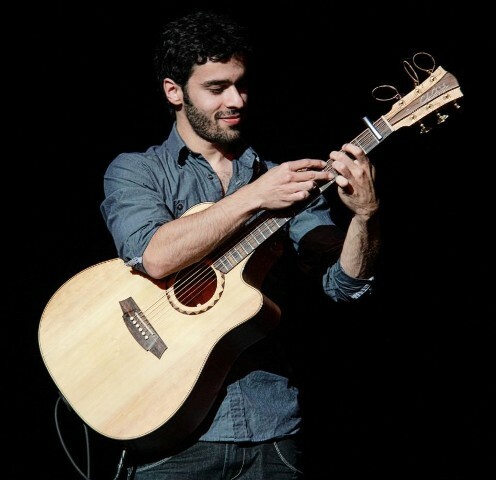 Nima has won many awards, including the Gold medal as a soloist (Fajr Music Festival, Tehran 2001); and the Gold medal for improvisation (National Student Music Festival, Tehran 2005). He has worked with outstanding Iranian musicians, namely Reza Fayyaz, Parviz Meshkatian, Ardavan and Pashang Kamkar, Siamak Aghaaiee, and Majid Kiani who taught him the enchanting Santur. He has also studied setâr under Masoud Shoari and tombak under Adel Sabok-Khiz. His debute album is “Depth” and he the owner of Zangouleh Music School. Playing violin since 8, Arya learned the art of Persian classical music with Iraj Kaavandi and Mehran Mohtady. Later he became a member of Tehran’s Television National Symphonic Orchestra. He holds a bachelor of music from York University and is finishing his MA in music/composition in the same school. Saarang is a Persian Classical and Folklore band. The band stablished in 2002 and have been active in Toronto since then. 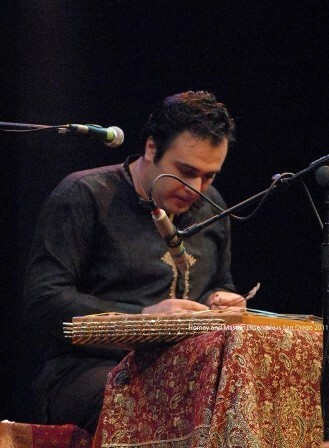 Born in 1977 in Fars, Iran Mehdi Rezania is an educator, composer producer and santur player. 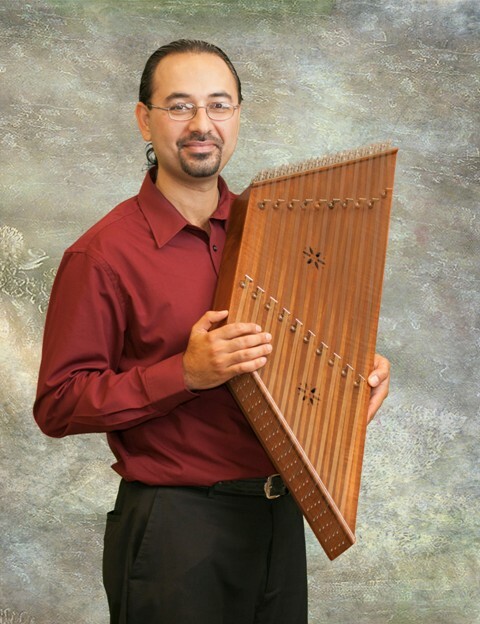 He started learning santur at 13 in his hometown of Abadeh and then went to Kamkar Music School to learn the advance level of santur playing under Ardavan Kamkar. In 2004, he founded Baarbad Music with Toloe Roushenas. He has studied Arabic music with Bassam Shahouk, Balkan music with Irene Markoff . He holds a bachelor of music from York University and MA in music/composition from York University where he studied with David Mott, Jay Rahn and Michael Coghlan. For the first time in Canada he has performed a Double Recital of santur and violin throughout Ontario and Quebec. He has performed in some of the most prestigious venues and festivals including Glenn Gould Studio, Toronto Centre for the Arts, Richmond Hill Centre for Arts, University of Toronto, York University, University of Western, University of Ottawa, Toronto Jazz Festival, Tirgan Festival and Iranian Heritage Day Festival. He is also the found of Saba Music Series. His debut album is “Salute to Sun” (2011). He is a winner of Ontario Art Council Grant in 2011 & 2013 and Canada Art Council Grant in 2012 for his compositions. Rezania’s compositions have been performed by Sinfonia Toronto and Windermere String Quartet. 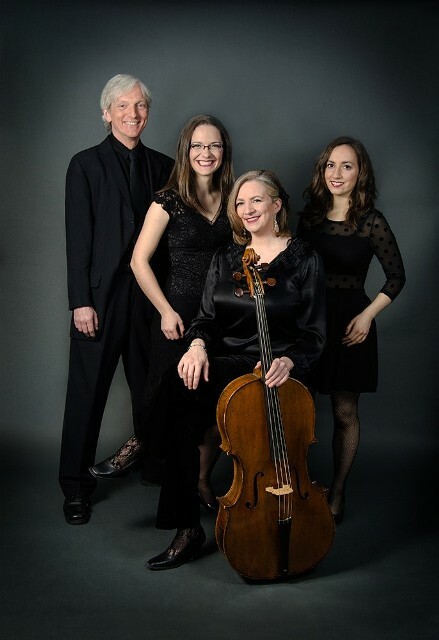 The Windermere String Quartet was formed in the spring of 2005 to perform the music of Mozart, Haydn, Beethoven, Schubert and their contemporaries on period instruments, as well as new works inspired by the Classical period. The Quartet is known for its dynamic performances and distinctive sound. Violinists Elizabeth Loewen Andrews and Michelle Odorico, violist Anthony Rapoport, and cellist Laura Jones are well known to audiences as performers with leading period instrument ensembles, between them performing with Tafelmusik, Toronto Consort, Aradia, Musicians in Ordinary, Elixir Baroque Ensemble and many others. 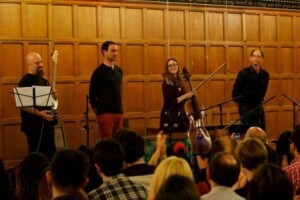 Along with their wealth of experience in Baroque and Classical styles, the members of the Windermere String Quartet have a wide range of musical tastes and have also been acclaimed for their performances with such groups as Sinfonia Toronto, Talisker Players and the indie-pop band LYON. These eclectic interests bring a freshness and passionate spontaneity to their performances. The Quartet’s own series, the Windermere String Quartet Concert Series, was established to explore the well-known masterworks as well as lesser-known gems of the string quartet repertoire on period instruments. The series also regularly features newly commissioned works, such as new Quartets by Canadian composers Alexander Rapoport, William Rowson and Robert Rival. In 2009, the WSQ premiered a new Quartet by British composer Geoffrey Palmer at York University’s International Conference Celebrating Haydn: His Times and his Legacy. In 2012, the WSQ premiered a new Quartet by Stephanie Martin at a gala celebration of the 25th anniversary of the Pax Christi Chorale. The Quartet has performed at Toronto’s Academy Concert Series, the Toronto Music Garden, Nuit Blanche, Toronto Early Music Centre’s Musically Speaking series, Stratford Chamber Music, and the New Hamburg Live! Festival of the Arts. They have been Quartet in Residence at Music at Port Milford and CAMMAC’s Lake MacDonald Music Centre. The Quartet has enjoyed collaborations with clarinetists Colin Lawson and Nicolai Tarasov, horn player Derek Conrod, lutenist/guitarist Lucas Harris and fortepianist Sharon Burlacoff.